Throw your bisque a fiesta using these Poppin' Papaya Color Burst Crystal Chips! 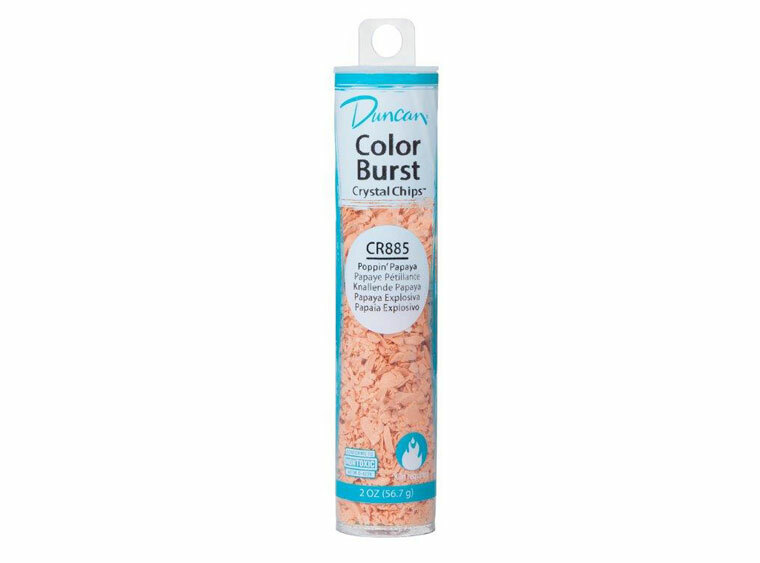 These Duncan Color Burst Crystal Chips can be added into your glaze, or over glazed bisque that is still wet! Check out this video below from our partners at Duncan for some tips and tricks for using Color Burst Crystal Chips! This product is manufactured by Duncan Enterprises. Bisque Imports proudly manufactures and distributes a variety of products. For the most up to date product information, vendor news, and best practices, click here.